When it comes to buying consumer data we understand that one size does not fit all. UK Datahouse offers you the opportunity to target the Consumer data you buy to your specific customer profile. Choose the location, age and even income of the customers you wish to contact. Buy being able to target the consumers in which you want to contact, you will be able to increase you positive response rates and decrease the amount of data you waste on a day to day basis. This will save your business both time and money. 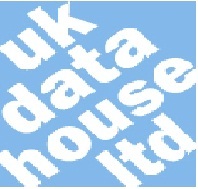 At UK Datahouse, we also like to ensure that you are only buying consumer data that is clean, accurate and up to date. We want to help you increase the amount of quality leads you can provide, by only offering you quality data. We check to ensure that we do not include any contact that has registered with the telephone or mailing preference service, if you did find yourself getting in touch with someone on either of these lists, you could see your business facing a fine of up to £5000. Get in contact with us today to see how we could help you with all your consumer data needs.